This cute little pouch is so easy to make and just a perfect gift for your little ones. Ideal for your coins, candies, little toys or something else that you can think of. 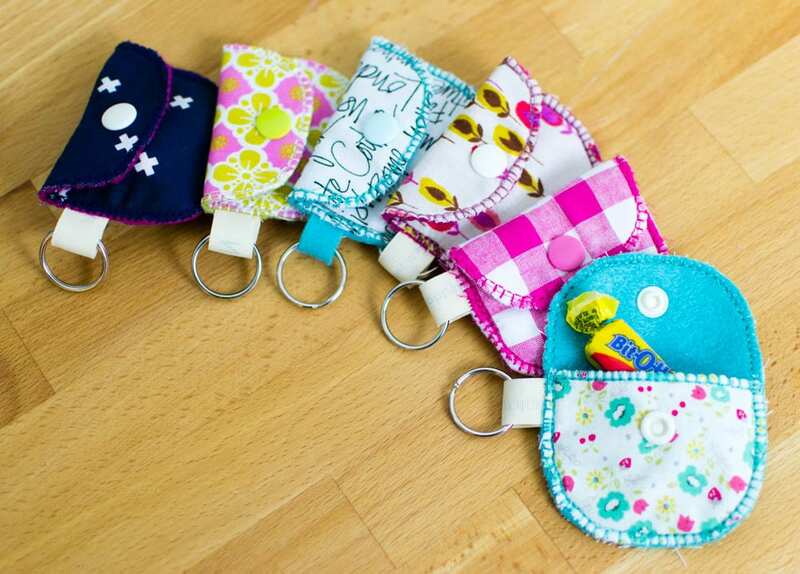 Grab the little pouch free sewing pattern and start to sew this adorable project! pretty thread – cotton, polyester, embroidery – whatever looks good! You'll also love the Mini Backpack Coin Purse from So Sew Easy. Check it out! Very cute patterns. I wish you could make it downloadable without having to add any other programs to my computer. Every time I click on the link it pops up with one of those “You’ve won a free Amazon Gift Card” ads after 2 seconds and I can’t get back to the page. Making it to where I can’t even read the article. Hi Crystal, on our site, make sure to click the big green link. On the designer’s site, unfortunately, we don’t control everything that goes on there. I’ve had a look and this site look OK to me. Please try clearing your browser cache and have another look. Hope it works for you.